Hi there! Madigan here. 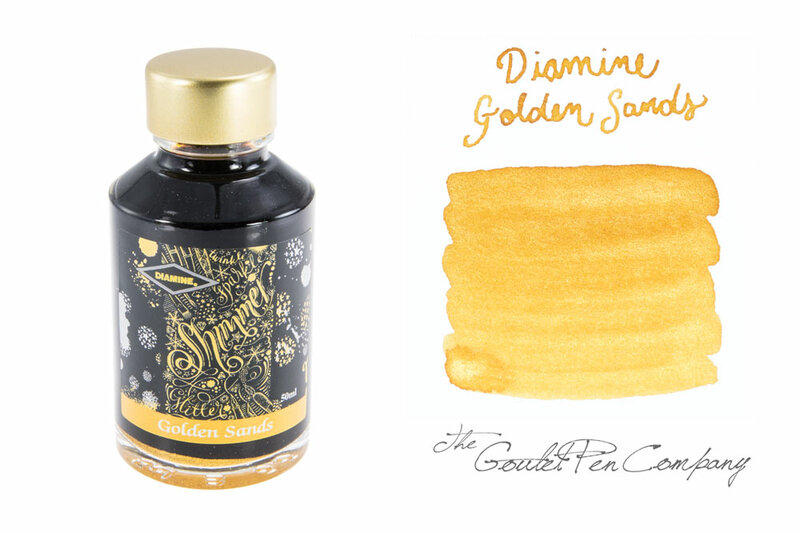 For Monday Matchup this week, I chose Diamine Golden Sands, an ink from their Shimmertastic collection. 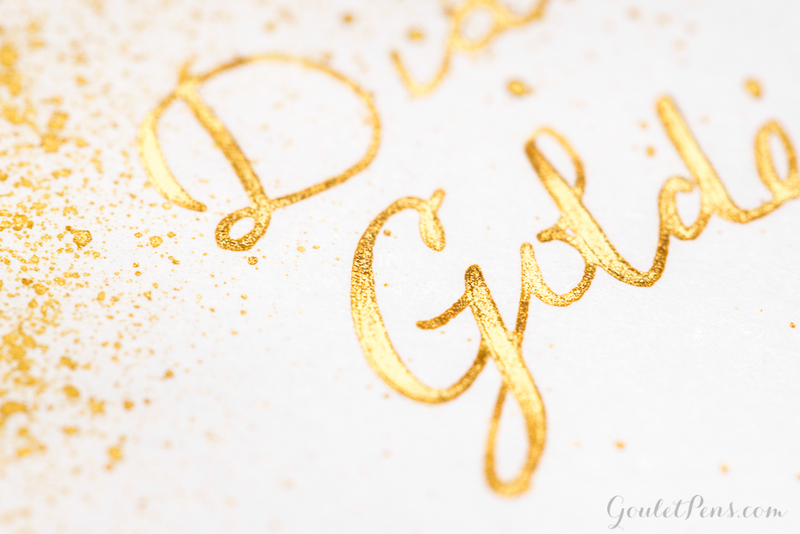 I’ve been a fan of sparkly inks since I started at Goulet so I was super excited when Diamine came out with these 10 new shimmering inks. 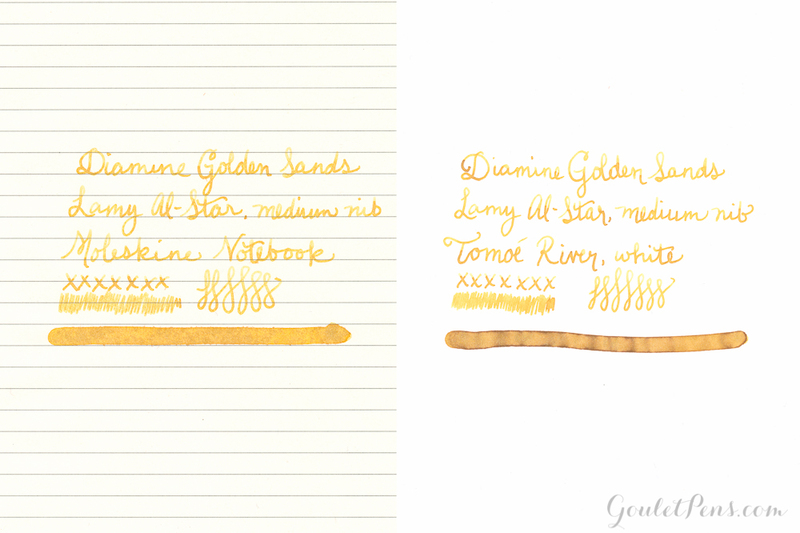 Golden Sands was on the top of my list to try since there aren’t any truly gold inks available for fountain pens. 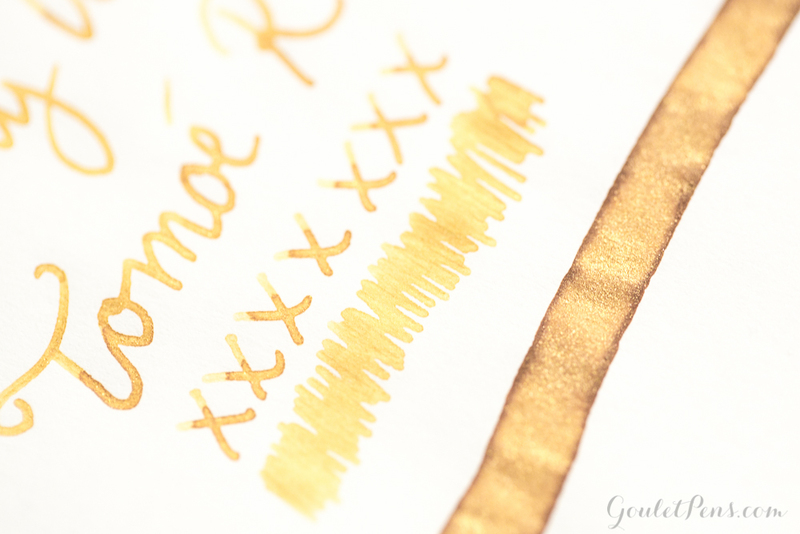 I think that Diamine nailed it with this one- it’s not opaque like calligraphy gold ink, but it is certainly above and beyond anything else out there. I hope you enjoy this review! Slow– This ink dried very slowly. Diamine ink tends to run a bit wet, but this one seemed particularly so. Additionally, to really see the shimmer, you’ll want to use a lot of ink extending the dry time further. If you are writing in a notebook, you’ll want to set it aside before turning the page. 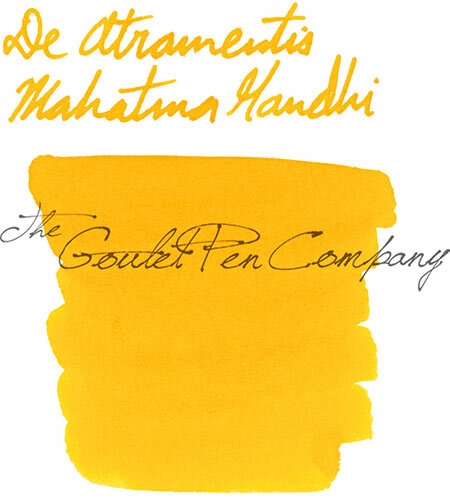 Low– Because the underlying ink is a yellow tone, the ink very quickly dissipates when water is applied. You can see that it virtually disappears in the drip test! Low– You can definitely see a difference between the first and third swipe of the swab. That probably has to do with the suspended particles of sparkle in the ink as much as with the ink itself. You see a lot more shimmer when more ink is applied. Medium– The light color of the underlying ink makes it disappear rapidly, but because the ink has that additional shimmer added to it, you may want to take a little bit of time to clear that away on the feed. Just use a toothbrush on the fins and it should come away quickly. High-This ink has lovely shading, even with a Lamy nib! It sparkles most where the ink is the darkest. 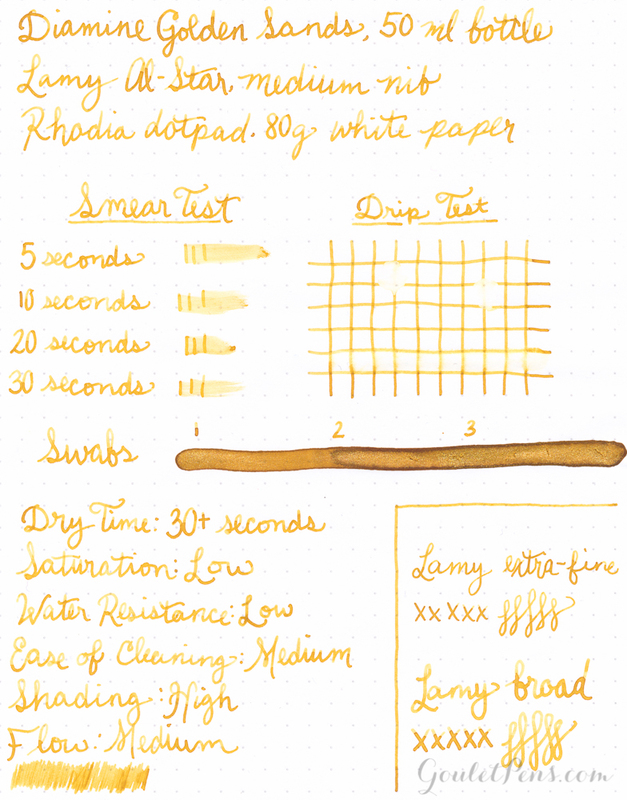 Medium– This ink flows well! From the Lamy to the Ahab, it was a steady writer with minimal issues. 50ml glass bottle with special box and label. 2ml ink samples also available. The bottle has a similarly sized opening to that of the normal Diamine bottles. It would work well even if the ink were low. Thin but deep. I really like the label and box. They are very festive! 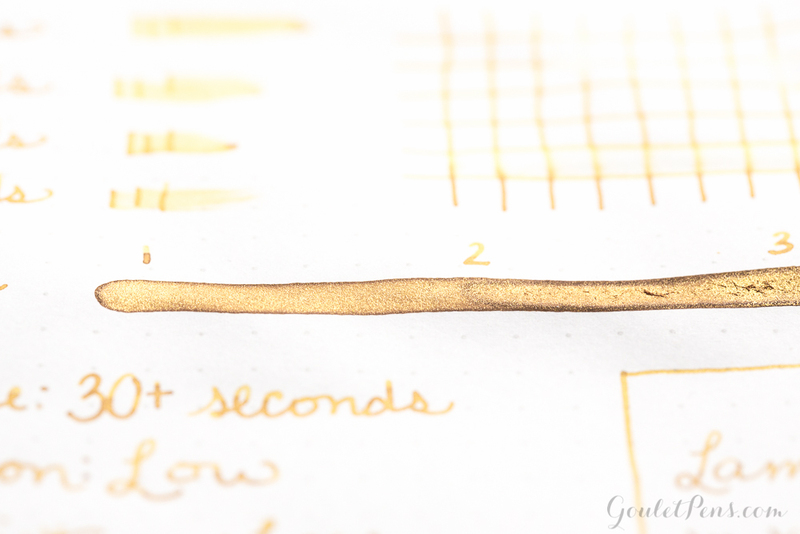 This is the best golden ink I’ve ever used for fountain pens! 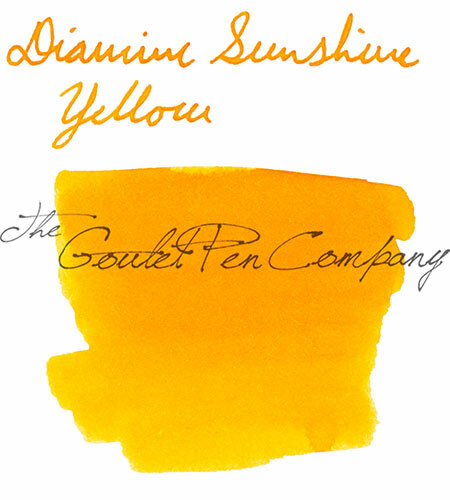 Bright, sparkly, and a great shader, this ink would serve well for letters or fun art projects. It’s definitely not a work appropriate choice, but it’d be perfect for writing Christmas cards. 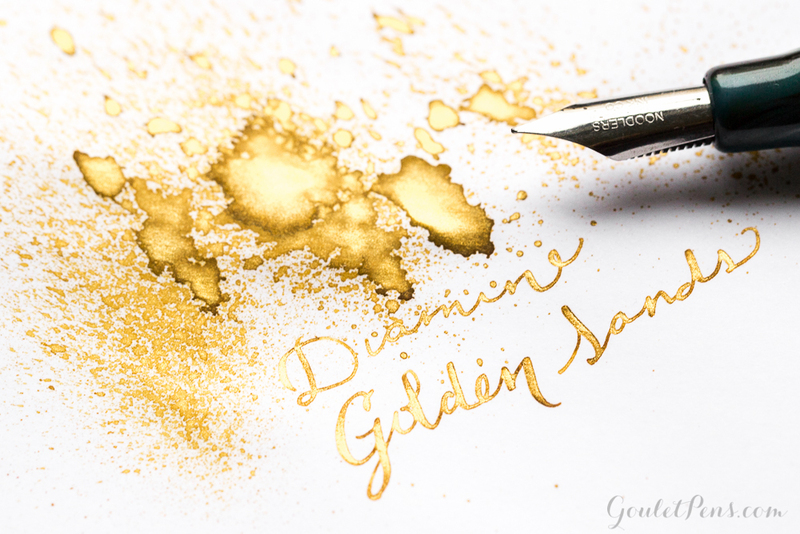 Golden Sands is available at Gouletpens.com in a 50ml bottle for $20 or a 2ml ink sample for $1.50. 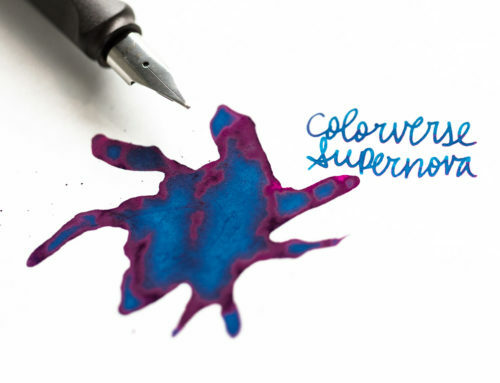 We are currently sold out (as of this post) but are expecting another shipment of Diamine Shimmertastic inks next month. 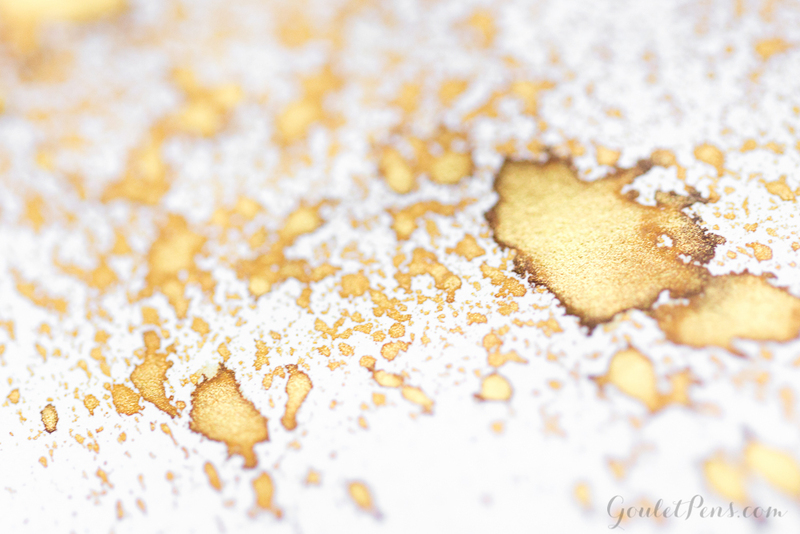 Don’t miss out on this glamorous golden ink! 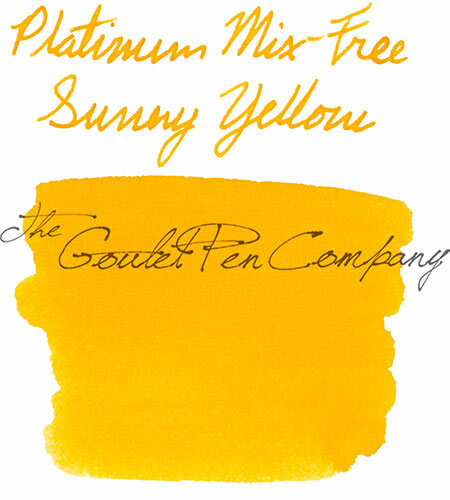 Do you have a favorite gold or yellow ink? Let me know in the comments below.